Xvid player is designed for watching movies on PC computer, saved in different formats of Windows system, e.g. avi, mpeg, asf. Excellent for playing movie files, compressed with DivX codecs. These codecs guarantee high fidelity of picture, and small size of place needed for keeping movies in this format. That's why compressing DVD movies to DivX format, often seven-times smaller size of regular CD-R disc, is so popular today. MPlayer may not be the most attractive player in the world, but like in VLC Media Player, this little app hides a great potential under its dull design. 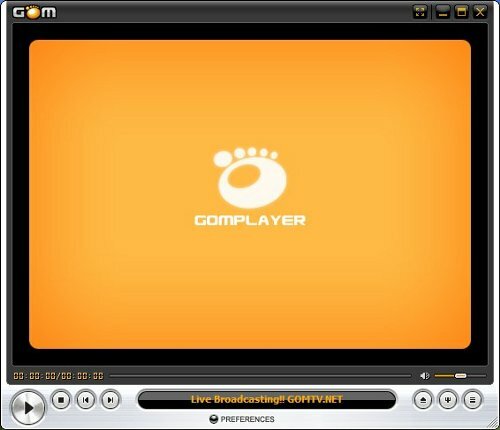 With MPlayer you won't have to cross your fingers and hope you have the right codec every time you open a media file on your computer. MPlayer is a simple yet great media player that supports more than 192 video and 85 audio codecs natively, which means it'll probably be able to open just about anything you throw at it. 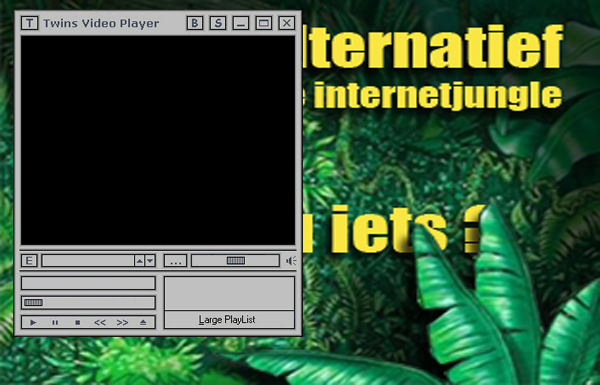 Like I said, the interface in MPlayer is not exactly brilliant. It's quite basic, almost minimalist. But the program includes a plethora of great features to make up for it: fast response when playing videos, very low on system resources, support for subtitles, ability to take screenshots and much more, plus an extensive support for keyboard shortcuts. BS Player is the first movie player ever to enable its users to focus on watching the movie instead of dealing with poor computer capabilities or running around looking for a proper setting and codec. Also, it has very low CPU and RAM requirements. The media player that fills all your needs. It can handle DVDs, (S)VCDs, Audio CDs, web streams, TV cards and much more. You don't need to keep track of a dozen codec packs you need to have installed. VLC has all codecs built-in. It comes with support for nearly all codec there is. And what is more it can even play back the file or media if it is damaged! Missing or broken pieces are no stop to VLC, it plays all the video and audio information that's still intact. QuickTime Alternative will allow you to play QuickTime files (.mov, .qt, .3gp and other extensions) without having to install the official QuickTime Player. It also supports QuickTime content that is embedded in webpages. As a bonus, Internet Explorer will play all QuickTime movies that are embedded in a webpage. You do need a media player that is capable of playing QuickTime files. The included Media Player Classic supports it and works very well. The QuickTime Browser plugin supports Internet Explorer, Opera, Netscape and Mozilla. The QuickTime plugins include iPIX and QuickTimeVR. 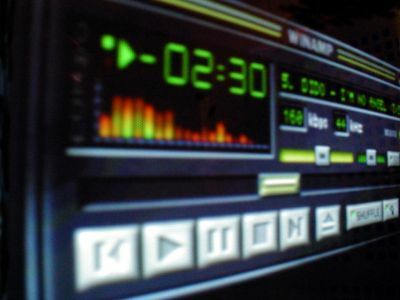 JetAudio plays various music and video files. Features included are: CD Burning, Recording, and File Conversion. You can create Internet Broadcasts with JetCast. 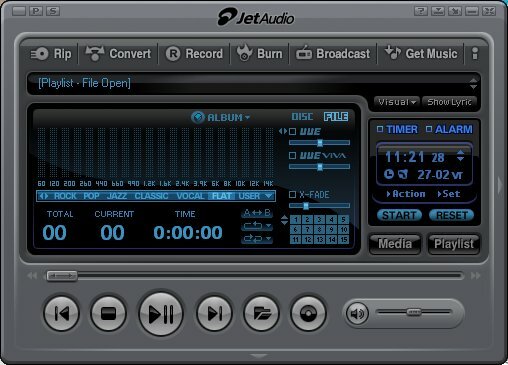 JetAudio plays most major file formats and various video or audio tracks. You can even convert audio files to various formats. A special feature is Video conversion which can make video files compatible for your portable devices such as iPOD or PSP. Other features include: sound effects (Wide, Reverb, and X-Bass), multichannel sound output, speed control for audio playback, cross-fading, skin changes, and synchronized lyric display for MIDI and MP3s.Download Video from Youtube. Ace DivX Player is the most convenient and handy divx player, it focus on play and manager your local media files: Divx, Mpeg, Mpv, Mpa, Mp3, Mp4, Avi, Asf, CDA(Audio-CD), DAT(Video-CD) etc. Is a robust Media and DVD Front-End Player. Zoom Player was designed to be simple at first glance while being remarkably dynamic and flexible when used to its full potential. Zoom Player works in two modes. A Media mode which can play any file supported by DirectShow (any file which plays in MediaPlayer) and a DVD mode which uses pre-installed DirectShow DVD filters to play DVD content. While some of the settings may seem intimidating, you can rest assured that the on-line help covers each function in detail. Be it Keyboard, Mouse or Remote Control, Zoom Player was designed for you.